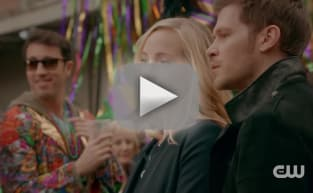 The Originals may be over, but the kind folks over at The CW have unveiled a deleted scene which gives fans a bigger look at the relationship between Klaus Mikaelson and Caroline Forbes. On the final day of filming The Originals Season 5 Episode 13 aka the series finale, a scene between the love interests was filmed on location in New Orleans. 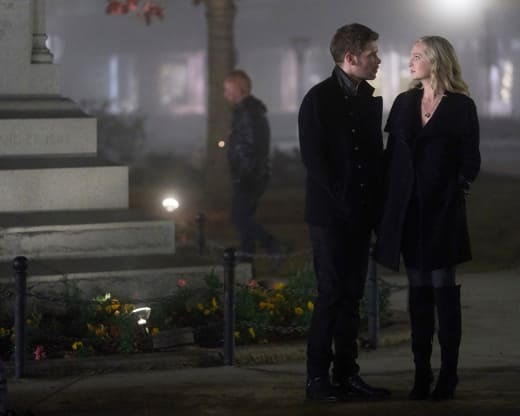 In the scene, Klaus and Caroline are in the town square as the Mardi Gras celebration continues. They chat about the past, and Klaus opens up about it being the place he met Camille all those years ago. It's a beautiful scene, but knowing that Klaus died soon after, it loses that emotional punch. So much so that it makes sense it was cut from the final episode. On the final hour, Klaus made the ultimate sacrifice, opting to kill himself with the dark power from the Hollow inside of him. He died a few scenes after sharing a kiss with Caroline. 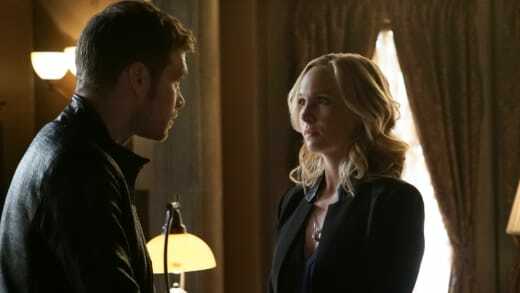 While the death of Klaus was polarizing to many, it did confirm to Caroline that Klaus had changed over the years. Back on The Originals Season 1 Episode 1, Klaus vowed that he did not care about Hope. Watch the full scene below and join us in the comments with your thoughts on it! Remember you can watch The Originals online right here via TV Fanatic.